The ancestry of Chinese Muslims goes back to the time of the 3rd Caliph in Islam, Usman Ibn Affan in 651 when he sent companions of Prophet Muhammad (PBUH), including Saad Ibn Abi Waqqas, to China. Since then and during the time of The Ottoman Empire, Muslims traveled and settled in China from the lands of Arabs and Turks. Today, the Chinese Muslims are a mixture of at least ten ethnic groups, Hui, Uyghur (also spelled as Uighur), Kazakh, Dongxiang, Salar, Tajik, Bonan, Tatar, Kyrgyz, and Uzbeks. Chinese Muslims can be found in almost every part of China. The Hui Muslims are the largest Muslim ethnic group with the population of around 11 million and they live all over China. Then the second largest Muslim ethnic group is Uyghurs with the population of around 8 million, majority of them live in the province of Xinjiang, they have distinct Turk-like appearance, they speak old Turkish language and write in Arabic script. In the last 18 months, China has conducted a massive and brutal operation against Chinese Muslims particularly against Uyghurs on the name of ‘political re-educated camps’ which means forcing them not to practice Islam and converting to typical Chinese practices. This anti-Muslim campaign on the name of dealing with religious extremism by the Chinese authorities are happening profoundly in the province of Xinjiang. According to reports over 1.5 million Muslims are detained in the internment camps like war prisoners where these Muslims are systematically being abused and tortured. On the name of re-educating Muslims to follow Chinese culture they are forced to eat pork and drink alcohol, according to a former internment camp inmate. They are being tortured to death when they refuse to leave their Islamic practices. The Chinese Government claims that they are fighting to clamp down terrorism and religious extremism, but the ground realities reflect that the Chinese government has an agenda to stamp out the faith and culture of Chinese Muslims. An international human rights panel, in August 2018, revealed in its report on the persecution of Uyghur Muslims that one million Uyghur Muslims were forced into the camps in the province of Xinjiang for political indoctrination. Many international newspapers in their editorials & columns and overseas relatives of Chinese Muslims describe the government’s definition of Islam as ‘mental illness’ and therefore Chinese authorities want to do the treatment of that disease. Rather than be proud of their centuries old culture and heritage this religious repression of Chinese government against Islam should not be acceptable to the civilized world. It would not be wrong if this systematic brutality against 20 million Chinese Muslims is called a new kind of ethnic cleansing or holocaust in this modern world. The next door neighbor Islamic Republic of Pakistan who claims China as the next-door brother country and top friend is watching from the fence and opted to remain silent against this systematic ethnic cleansing of their fellow Muslim brethren. Pakistan is continuously expanding its traditional ties with China in many fields including the great China-Pakistan economic corridor (CPEC). Pakistani top government officials regularly visit China and recently the newly elected Prime Minister Imran Khan visited China. Pakistani delegates bring many issues on the table with China except the appalling conditions of Muslims in China. The Pakistani government without any fear must address the safety and religious freedom of over 2 million Muslims and push China to immediately close the internment or concentration camps of Muslims and declare a policy on religious safeguards of Chinese Muslims. Similarly, another heavy weight Muslim country Turkey in the region is also quiet on this human issue. The Uyghurs Muslims are the Turkic-speaking Chinese Muslim ethnic minority. They possess ethnical and linguistic historical ties with Turk, Azeris, and Kazakhs. 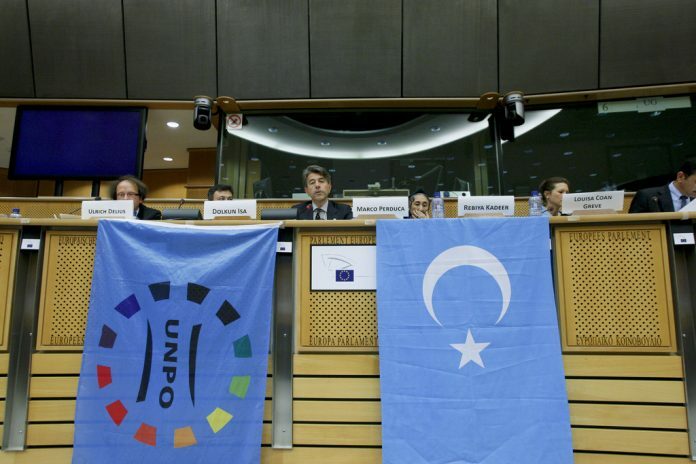 Turkey has yet demonstrated ignorance on the devastated condition of Uyghurs. The silence from Turkey on Uyghurs’ safety is shameful. Freedom of religious practice is endorsed by international laws and the Chinese government have to respect that like other civilized nations. Therefore, all the human activists and human rights organisations should raise their voices loudly against the extreme religious repression against 20 million Chinese Muslims.